The open source software (OSS) movement started as a result of discontent with the proprietary software world. It is a worldwide proposal that is correcting a seriously broken system in which vendors are taking undue advantage of consumers and depriving the consumer of choice. It seems the electronics retailers are hogtied to Microsoft status quo. Because of this monopoly real people pay the price. Windows problems with viruses, worms and malware live because consumers failed to say to Microsoft that they have had enough. Instead of people making their dissatisfaction known to the company that could do most to solve the problem, they’re contented to complain to each other. 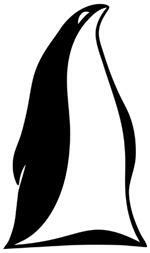 Many retailers in the IT world have roles in blockading Linux. There are barriers placed before Linux adopters. I shop at CompUSA, Best Buy, Circuit City, Fry's Electronics and other major consumer electronics retailers. I know that do not offer Linux pre-loaded PCs for sale. These stores do sell some PCs that will work with Linux, if consumers download Linux themselves; they only sell PCs bundled with Microsoft and Apple operating systems. The aforementioned stores don't carry peripheral hardware suitable for use with Linux. This forces the consumer, who wishes to use Linux to shop elsewhere, like online. Clearly, these stores have made a decision that they are not interested in having Linux users as customers. Why? “Fear AND Money.” It seems there are many commercial arrangements that are made behind closed doors so as to keep Linux out of the public eye. Such difficulties stop many from using Linux and it only tends to get adopted by the very persistent. In conclusion: Major retailers are not interested in giving customers a less expensive, more reliable PC platform. They more interested in not damaging the relationship with Microsoft. We are the consumers. We have the right and the responsibility to make our wishes known. If enough consumers speak up, retailers will pay attention. Choice in electronics stores will always make things better. If you like Windows and want to see it more stable then demand alternatives. If enough consumers speak up, Microsoft will jump to attention faster than you can imagine.